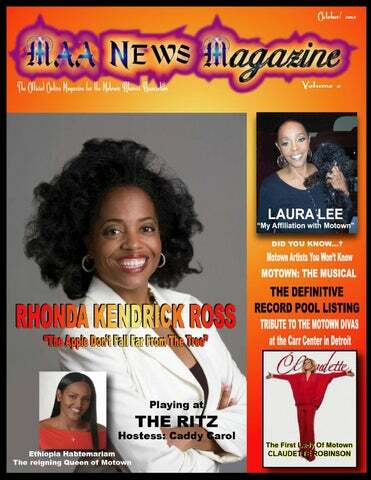 (MAA NEWS) – Rhonda Ross, the daughter of Diana Ross and Berry Gordy is waking up her singing talent at the Triad Theater in New York, November 5, 2012. She will be doing an aura of jazz and gospel standards in the quaint New York theatrical surrounding. She was born Rhonda Suzanne Silberstein August 14, 1971. She is married to jazz musician Rodney Kendrick and they have 1 son, RaifHenok Emmanuel Kendrick. Ross graduated with honors from Brown University in 1993. She created Ross Realty International in New York, and pursued the performing arts as a career venture. Rhonda has participated in numerous TV and movie parts. She was in "Girlfriends" (TV series) as Laurie in 2000, 1997-1999 Another World (TV series) as Toni Burrell (Episode dated 25 June 1999), the 1999 movie "Personals" as Sheila, the 1998 TV movie "The Temptations" as Maxine, the Cosby Show (TV series) – episode Dating Games (1997), 1994 "Out of Darkness" (TV movie), 1985 "The Last Dragon", and was nominated at the 1998 25th Annual Daytime Emmy Awards (TV special). She also took the world-stage by storm, performing her uniquely titled 'Song Telling' concerts (an elegant blend of poetry and music) everywhere from Europe and Japan to New York's Blue Note and even Radio City Music Hall. The Apple does not fall far from the tree does it? Laura Lee is among the first R&B vocalist to sing about the experience of women in America. During the feminist movement Lee's 1972 hit "Woman's Love Rights" was the national anthem for women all over the nation, and Lee was one of the heroes that carried the banner for the crusade. Laura Lee Rundless was born in Chicago, and adopted by Ernestine and Reverend Allan Rundless. She started her singing career in gospel music and exploded as the lead singer of the Gospel Music Hall Of Fame group the Meditation Singers. Prior to joining the group famed film star Della Reese was an original member of the ensemble. Lee replaced Reese in 1956. She first recorded solo on a secular music level for RicTic Records in 1966, with a tune titled "To Win Your Heart”. 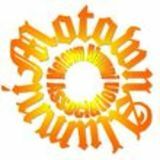 Later when Motown bought Ric Tic Records from Ed Wingate and Joanne Bratton, along with all of the other Wingate Detroit based labels, Motown distributed Lee's recording under the Tamla Motown label in September of 1972. Just during the height of her hit song “Woman’s Love Rights”. Though she did not actually sing the song at Motown, she was one of the few on the Ric Tic label that was distributed by Motown after the buyout. She moved to Chess Records where she recorded her first top 20 hit the 1967 song titled “Dirty Man” at Rick Halls FAME Studios in Muscle Shoals. Between 1967 and 1976, Lee charted in the top 100 Billboard/ R&B Charts 23 times. Though "Woman's Love Rights" under the Hot Wax label was a huge hit for Lee, Holland-DozierHolland (former Motown songwriting team) who owned the label actually wrote a song that was bigger than "Woman's Love Rights"; the song titled "Rip Off" charted at #3 on the R&B Charts in 1972. Laura Lee currently resides in Detroit, Michigan near the downtown area. "I have dedicated my entire life back to God, I want to make sure I make it through the gates" said Lee. Deemed the â&#x20AC;&#x2DC;First Lady Of Motownâ&#x20AC;&#x2122; Claudette Robinson was the sole female in the group The Miracles (They were originally called The Matadors before changing their name to the Miracles). The Miracles was the first group signed under the Gordy banner both as their manager and as recording artists, which made Claudette the first woman to sign on the then fledgling label Tamla, the predecessor of Motown Records. She was also the first female artist on the 1960 incorporated Motown label. Go to ClaudetteRobinson.com to find out more on this fascinating person. Motown information is always fascinating. Our DID YOU KNOW… piece always have information that most Motown artists, songwriters, executives and some producers never knew. Enjoy your peak into history with DID YOU KNOW… DID YOU KNOW… that the group Emerson, Lake & Palmer and Little Richard were all involved with Motown? A little known label called Manticore was owned by Keith Emerson, Greg Lake, and Carl Palmer aka Emerson Lake & Palmer. The label was located in the UK and was distributed by Motown. The King of Rock Little Richard was also on that label in 1975. That years was the only year of the companies existence. The group Emerson, Lake & Palmer never recorded on the label. DID YOU KNOW… that other than the Tamla label Berry Gordy had another label with a released song before creating Motown? The label was called Rayber. Wade Jones was the only artist on the label. Released in the latter part of 1959, only 4 months later in April of 1960 the Motown Record label became a corporation DID YOU KNOW… that the Stephanye label is a Motown affiliated label? The label was owned by Gene Redd. Most label owners in those days named their label in some manner after their girl children, and Redd was no different. Though the company never done anything significant it did have a fantastic staff that would go on to be music icons. For example George Clinton wrote songs with Eddie Holland and Lamont Dozier for the label, and George also produced for the label. The Detroit auditions for the Gordy play "Motown: The Musical" will be held in Detroit from 10 a.m. to 2 p.m. November 3, at the: Winans Academy of Performing Arts, Dominican Campus 9740 McKinney St. (between Whittier and Courville) Detroit, Michigan Casting call starts at 9 a.m. The musical's director, Charles Randolph Wright, will be at the Detroit audition. They are looking for: A young Michael Jackson, young Berry Gordy, young Stevie Wonder preferably (8 to 11yrs old/ AfricanAmerican male). Actor should have similar tenor as Jackson and Wonder did at an early age. Dancing skills are highly needed. Other artist profiles needed are Smokey Robinson, and Marvin Gaye type (both In his 20's). Preferably someone who looks and sounds like Gaye and Smokey. High tenor voice a major plus. Female African-American singers (in their 20s). Singers must sing in a pop style like Diana Ross are sought, along with slender body build. Singer should be approximately 5 foot 4 inches to 5 foot 8 inches. Artists endorsed by the Motown Alumni Association All from Universal! L to R: Barry Weiss, Chairman & CEO of Universal Republic and Island Def Jam Motown, NEYO VP of A&R for Motown, and Ethiopia Habtemariam, Senior Vice President, Motown Records. (MAA NEWS) - Ethiopia Habtemariam - Yeah, she looks like a rock star, and can visually compete with virtually any beauty on the scene, but this vision of greatness got brains and is the Senior VP of Motown Records. You might ask “How did she get that job… she is so ‘young’ looking?” Keep in mind that Motown of the 60s is far under the radar in today’s market. New fresh blood and executives are what is needed to keep the Motown train rolling. For years older executives ran the helm of Motown and some were very successful, but in the 21st century we have an old saying “Out with the old blood and in with the new”. Ethiopia is a 32-year-old business executive that is the VP/head of urban music for Universal Music Publishing Group and Senior VP of Motown Records label. Habtemariam report directly to Barry Weiss, Chairman & CEO of Universal Republic and Island Def Jam Motown. However, the changes in the Motown reign has taken a huge turn this move has shown to be fruitful so far with the addition of the artist NEYO as VP of A&R for Motown. Weiss said of his budding executive “Ethiopia represents the new breed of today’s best creative music executives,” said Weiss. “In the studio at night and in the office during the day, she is artist and song focused. There is no one more relevant and credible in the creative community to help us build upon Motown’s fantastic legacy and move the company into its next groundbreaking era.” “She has been at the helm for about a year now, and knowing Universals methodical structure they are taking their time to make sure they are doing it right”, said Billy Wilson president of the Motown Alumni Association. “It looks like they are trying to take advantage of Def Jams urban marketing with the company, and there are good and bad points with that” said Wilson. “They have been limited over the years in trying various marketing tricks to get the consumers back into the Motown vein, but the artistry is some cases have been limited and or nonexistent. Though Motown is not really known for the hip-hop vein we hope that Habtemariam and NEYO will give a new life to the company.” The Motown Alumni Association vows to help market and promote the new and experienced artist coming out of the record company. You probably do not know any of these groups, but each is a part of the Motown family of stars. All of these artists were on the Rare Earth label. THE MAA’S DJ AND RECORD POOL RESEARCH LISTING Here are the Top 96 Record and DJ Pools in the United States and abroad. Many of the pools report to key sources in the music industry that can make or break an artist’s songs. You will also find addresses, email, and phone numbers for those with available contact information. Website for some will also be a communication source. Reporter for DJ Times, FMQB, RecordPoolCharts.com and UrbanTip.com E-mail: baddadjs@aol.com BAY AREA HIP HOP COALITION RECORD POOL Director: Malachi Padron 630 20th St. Description: Underground HipHop pool based in LOS ANGELES. Also cater to Rap, Reggae and R&B. Serving DJs throughout southern California. RITMO INTERNATIONAL RECORD POOL 3105 Filbert St.
Colorado RADIO BUMS RECORD POOL 1950 W. 32nd Ave.
Florida 904 and 904 TAMPA RECORD POOL 9 Years of Servicing Florida & The Southeast 15915 Old Stone Pl. CRAZY SOUNDS RECORD POOL Web Site: www.crazyhood.com 12302 S. W. 117th Ct.
FLORIDA SUNCOAST RECORD POOL 7747 63rd St. N.
E-mail: dapa999@aol.com Genre of Music: Urban (Hip Hop / Reggae / R&B / Dirt South) Email mp3s to: fullfledgemp3@gmail.com 30 Pieces Of Vinyl And 10 CDs We don't play records.... We break records. DJs run the stations. (IDMA Record Pool Of The Year 2001 / 2002) 42 Milton Ave.
Unruly Productions, Inc. 7455 New Ridge Rd. DJ's Latinos Record Pool & Entertainment Group Antonio Ortiz Jr.
S.U.R.E. NYC'S FOREMOST RECORD POOL 2128 Westchester Ave.
VIP RECORD POOL 2271 West Chester Ave.
VIP LATINO RECORD POOL 2271 Westchester Ave.
NORTHWEST OHIO MUSIC CONNECTION RECORD POOL 840 Stillman St.
ISMAEL VARGAS & SHARON VARGAS 3062 Weikel St.
PHILLY'S LATIN SOUND RECORD & CD POOL Contact Information: Ismael Vargas & Sharon Vargas 3062 Weikel St.
PITTSBURGH'S BPM RECORD POOL 134 Watkins Ave.
TEXAS STAR RECORD & CD POOL The Dallas / Ft. Worth DJ Connection 712 N. Watson Rd. Wisconsin ANOTHER LEVEL RECORD POOL (URBAN) 3241 N. 45th St.